Cooking can be fun too with the easy to clean 2-Burner stainless, you do not need to worry about stains and dirt. 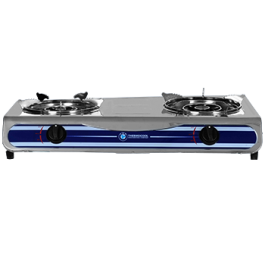 Sleek Stainless Finish: Stainless steel is resistant to corrosion, heat and chemical damage and this 2-burner gas cooker comes with a sleek stainless steel finish to give your kitchen a beautiful yet durable look. 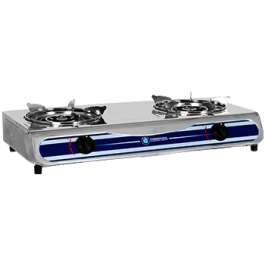 Auto Ignition: The Auto Ignition burner on the 2-burner stainless steel gas cooker helps save energy because you need less gas to light up your burners helping you reduce your gas costs..